When talking about guarantor loans, a guarantor is a person who agrees that they will ‘back-stop’ your loan, as it were, agreeing to pay the loan repayments if the original borrower is for some reason unable to do so. A guarantor will often have a better credit history or score than the original borrower, meaning that the loan provider has some extra security that the loan is going to be repaid if the original borrower fails to pay, mitigating some of the risk of lending to a less credit worthy borrower. So, what happens if the original borrower misses a payment? The first port of call for most guarantor loan companies will be to try and resolve the issue with the original borrower, where possible. 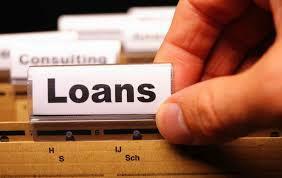 If this is not possible, then the loan provider will then contact the guarantor to try and recover the payments. This is why it is so important that potential guarantors truly understand the full extent of the commitment that they are making when they agree to be a guarantor. When you sign as a guarantor for someone, this is a legally binding commitment and you – the guarantor – could therefore be pursued in a legal fashion for the outstanding loan or repayments on the loan if the main borrower fails to pay. Other Things to Consider as a Guarantor? One other important point I just wanted to mention in regards to becoming a guarantor is that you should be aware that becoming a guarantor could also affect your future borrowing capabilities. This is because some lenders might view your being a guarantor as a potential financial commitment, and they may therefore reduce the amount that they are willing to lend to you when affordability tests are carried out. What Can Guarantor Loans Be Used For? Guarantor loans can be used for many of the same things that ‘ordinary’ personal loans can be used for, such as buying a car or home improvements, for example. We hope this post has given you a basic understanding of what a guarantor loan is, how it works and also what is involved with becoming a guarantor. Acting as a guarantor might seem like a kind thing to do for a close friend or family member, but it is certainly not something to be taken lightly. If after considering all of the potential outcomes you decide that you would like to go ahead, though, then there are plenty of guarantor loan companies around who can help you out, so be sure to do your research and find the right one for you. Have you ever been a Guarantor on a loan? What was your experience?